Every Friday at the Swim Club you can expect a stellar lineup of female DJs behind the booth. 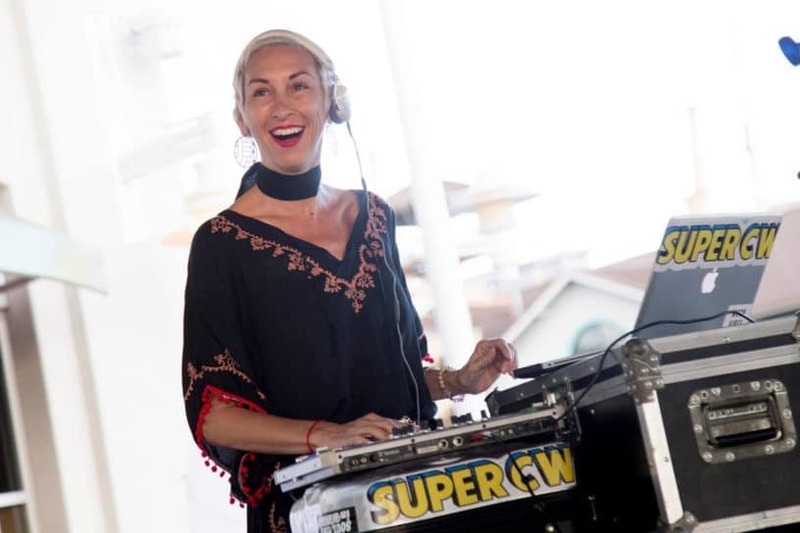 Christa Wittmier—aka Super CW—is just one of the Honolulu music mavens that’s regularly poolside, stirring up the sounds and kicking off the weekend with hotel guests and residents alike. We chatted with Christa about her style, her musical inspiration and her favorite albums. HOW WOULD YOU DESCRIBE YOUR SOUND/STYLE? Melodic house and glitchy nu-disco. Pop remixes and island grooves. Happy, awesome, weird. HOW DID YOU START DJ-‘ING? Growing up as a musician, I was in my school band as well as the city’s youth symphony program. I was very serious about music in school but lost it when I joined the Navy. Seventeen years later some friends asked me to enter an iPod challenge (because I was always the girl with the playlists), and I won the challenge. Then someone offered to teach me how to DJ with turntables and Serato. After my first public gig in 2012, I got booked for a few more gigs, and then a few more. Soon I had residencies and headlining slots. I think if you are a musician at heart it will always find its way back to you. *To note, Christa is a metastatic breast cancer survivor who opted to fight for her life using integrative and naturopathic complementary therapies, rather than go through aggressive chemotherapy treatments. Her story has inspired hundreds of people already, but she’s hell-bent on sharing it with as many people as possible by producing a documentary film about cancer and survival, titled Invisible Illness. “We have no doubt that this film will provide hope, and could even save lives. We are taking a more quirky approach, just like Christa, to keep it entertaining. There will be valuable lessons to inspire anyone facing a difficult illness or life struggle.” For more information and to make a donation, head to the KICKSTARTER.